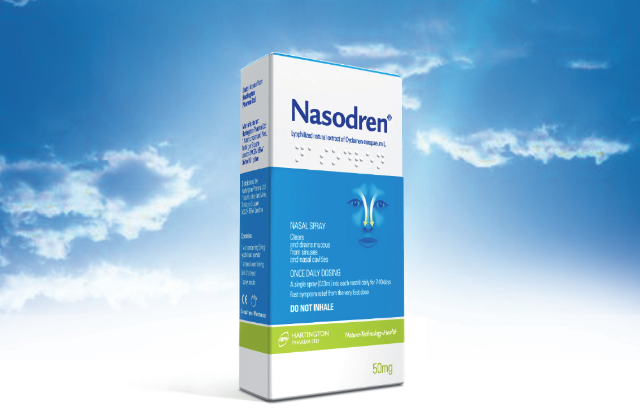 Nasodren for Sinusitis Treatment: Which herb helps in treating sinus/ear congestion? Which herb helps in treating sinus/ear congestion? Ligusticum porteri (Osha) helps in relieving sinus/ear congestion. Ligusticum porteri, a native to the Rocky Mountains, grows at an altitude ranging from 1,970 to 3,500 meters (6,500-11,500 feet) in the mountain bioregion stretching between Mexico and Canada. The Hispanics call it osha. The word “osha” is derived from the Spanish word “oso” which means “bear.” Perennial osha belongs to the Apiaceae / Parsley family of plants. Osha bears pink or white flowers during June-August. The fern –like leaves are triangular and dark green. The brown root is furry, oily, spicy and warm. Osha grows in coniferous forests in moist mountainous areas. The plant can be grown from seeds. The herb root is used in the bear medicines made by the American Indians and several other cultures, whereas the plant is used as forage. The herb has some properties that are similar to that of angelicas but osha acts differently. The herb is source of bitters, glycosides, resins, silicon and volatile oils. The herb resins promote expectoration, mitigate inflammation and aid in clearing the lungs. Thus, the herb is used to treat coughs and overcome capillary congestion in catarrh and bronchitis. The herb is also used for treating allergies to dairy products, excessive mucus, intestinal lymphatic congestion and pancreas problems. The herb is used for depression and atrophy tissue states. The tissue states used in herbal medicines refers to general pathophysiology and physiology. The herb with anti-inflammatory and carminative properties improves digestion and nervous system because it imparts tone to the adrenal cortex’s glucocorticoid side. Carminative means expelling gas from the intestines and stomach, relieving flatulence. When senses and mind are dull, and mucus congestion causes problems in the bronchial tree and sinuses. Extracts of the dried roots or its decoction is administered in the above conditions. Quantity of the dosage depends on the symptoms. Pregnant patients should avoid the abortifacient herb, which means osha may cause abortion. Thus, it is advisable that you consult the doctor before using the herb for sinus/ear congestion or any other condition. You may also find throat sprays and salves containing the herb and osha syrups in the market.